One of the most popular areas of investment happens to be property. Investing in property can be a smart move should you execute the decision correctly. 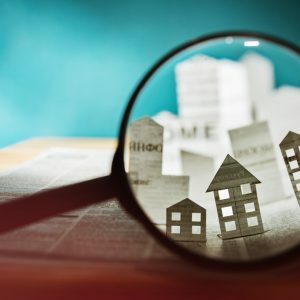 The UK is a nation that has long been obsessed with the property ladder, though if you are looking to invest in property, there are many important factors to consider. Not only do you need to weigh up your current financial situation but you also need to address the property itself, as well as the condition of the market at that moment in time. Prior to making any commitment in property investment, you should be certain that your personal income is stable. Investing in property is a huge financial commitment and to begin, it can cost you more than it will return. Hence, a stable income is necessary. It’s also advisable to financially forecast the next six months of your life to help you best decide whether it is the best time for you to invest in property. Before buying your first investment property, you need to conduct some thorough research. Whether you plan to rent the property to clients or reside there yourself, you need to ensure that the property is situated in an ideal location for you, or for the clients you plan to target. It’s also wise to calculate the money you already have and what you are able to borrow before you invest in a property. And as well as the actual price of the property, you should also calculate how much you will need to spend on essential repairs, or what it would cost to renovate the property. Operation costs should also be considered and added to the overall expense of the property. If the property you choose to invest in does need some TLC, you can receive long-lasting, cost-effective results if you use Findleys as your go to roofing company, Sunderland, Middlesbrough or any other part of the North East. The property market is known to fluctuate intermittently. If you’ve listed a house for sale then high property prices are welcomed, however, if property prices are low, it’s a poor time to sell. With this, you should read up on the area of the property market you intend to invest in before making any concrete commitments. This is one of the most important aspects of property investment. The features of the proposed property are further important factors to consider. Properties considered to be attractive are generally accompanied by the likes of tarmac roads, competent drainage systems, street lights and well built pavements. In regards to the actual property itself, it should play host to structural integrity. Properties considered to have a good layout will often boast an open floor plan, with additions such as a balcony and outdoor patio, complete with a barbecue spot for summer. Such features are recommended characteristics to look for when investing in a property as they warrant an attractive return. Previous Article Previous post: Are Online Finance Courses Similar to Taught Courses?